Outcomes allow a school to record and organise the learning objectives that are taught across the curriculum. Setting outcomes can be a fundamental first step in using Gibbon to manage teaching and learning within a school. Go to Learn > Planner in the main menu at the top of the page. 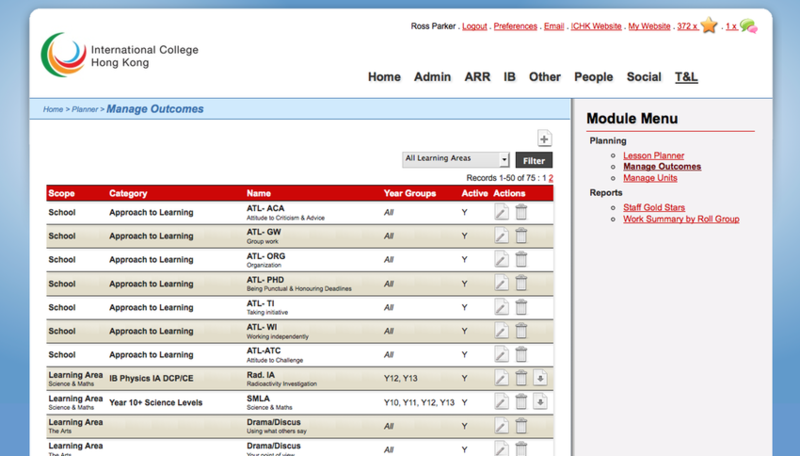 Select Manage Outcomes link in the right-hand side module menu. Use the Add button to start creating your first outcome.